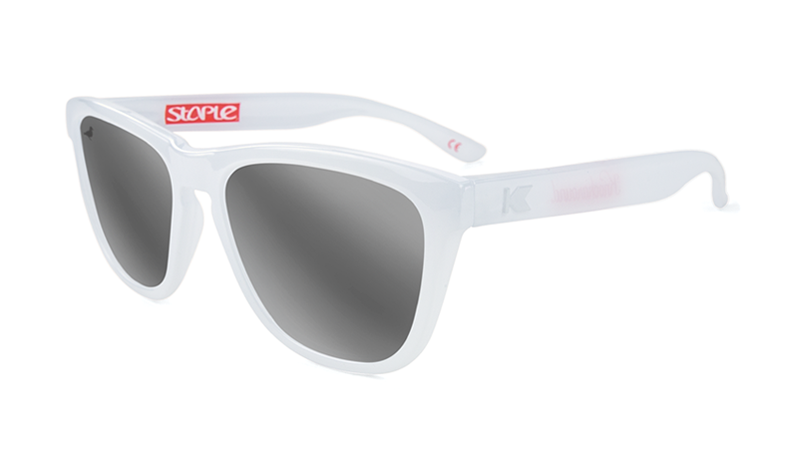 Knockaround has teamed up once again with, Staple, a New York-based design firm and lifestyle brand, to produce our first ever special release collection—The Staple Pigeon Monochromes. 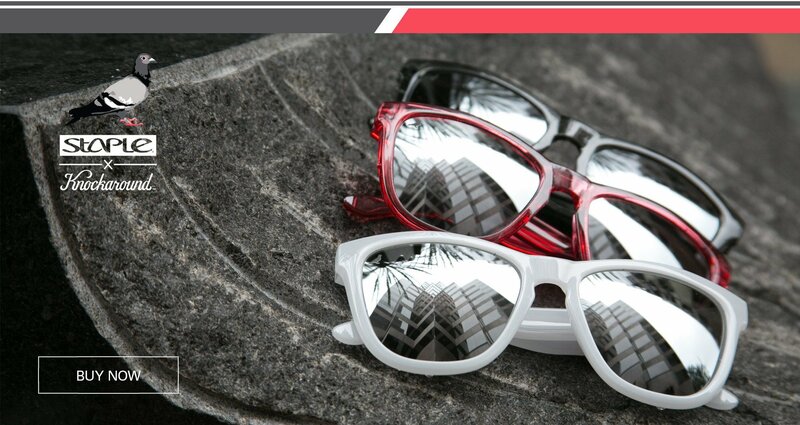 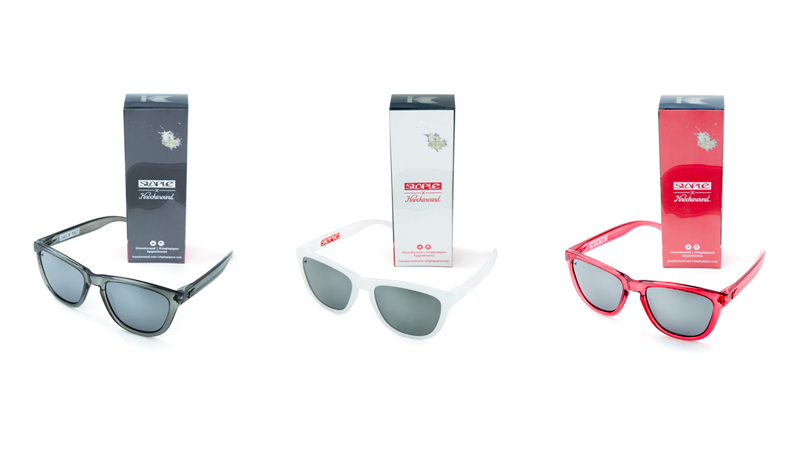 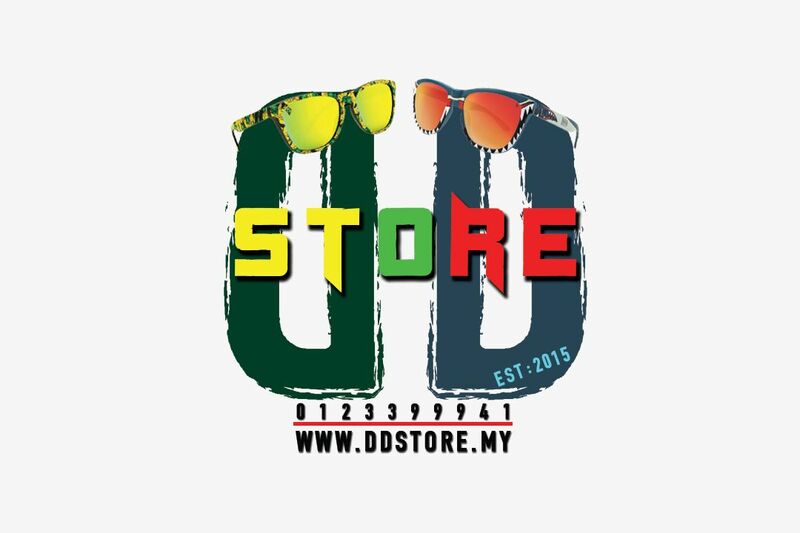 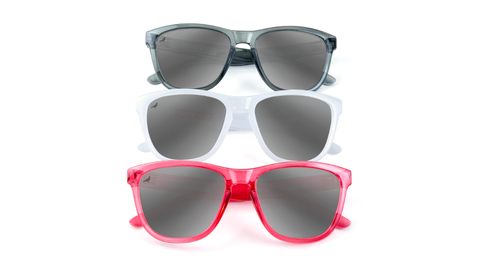 Consisting of three different sunglasses available in a pigeon grey, pigeon white, or pigeon pink, this collection presents the best of our brands’ bi-coastal worlds. All the way from NYC to SD, these pigeons have landed and might not be available for long, so pick up your pair today. 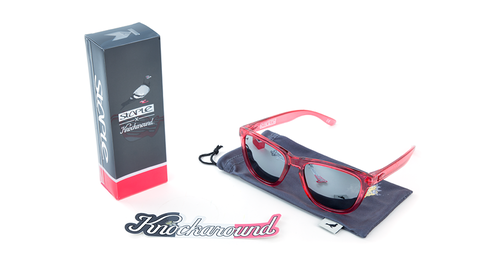 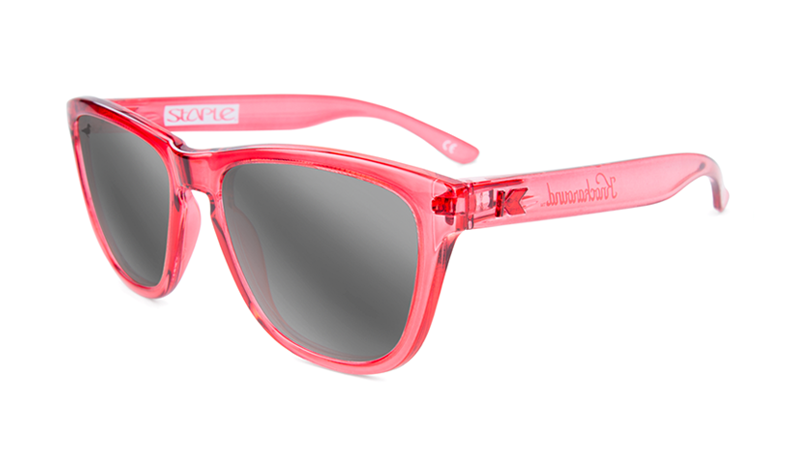 Knockaround flocks with Staple. Do you? The Staple pigeon grey monochromes feature a translucent grey frame, matching monochromatic K logos on the outside of each arm, and polarized silver high-rise lenses with an etched pigeon logo in the upper left corner. Designed on our best-selling frame, the Premiums are form-fitting, universally flattering, and provide full UV400 sun protection. 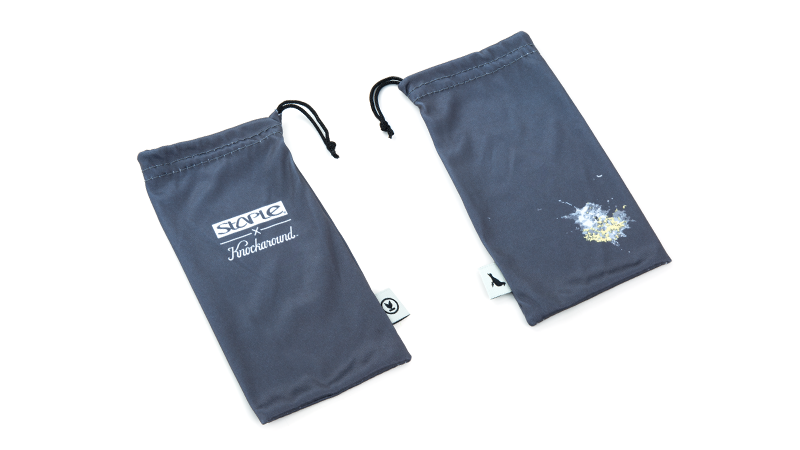 Each pair comes in a protective pouch featuring the Staple x Knockaround logo lock-up on one side and the iconic Staple pigeon poop mark on the other side, and is packed in a custom box with a pigeon grey back panel insert card.